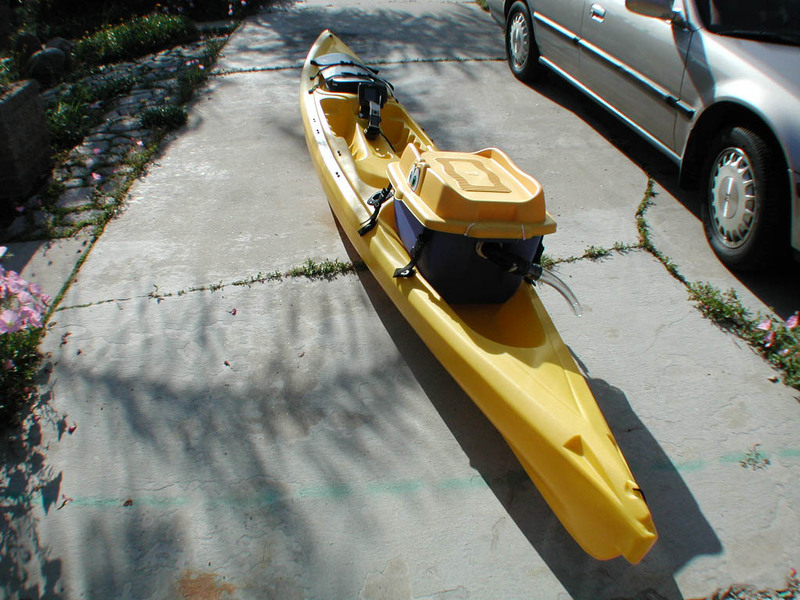 This is my fishing kayak. It is a Scupper pro TW that has been modified with all the bells and whistles for fishing. These are early pictures, and don't show the later additions of forward rod holders and the pulley system for anchor tie off. My bait tank setup with Rule 360 pump and waterproof connectors. 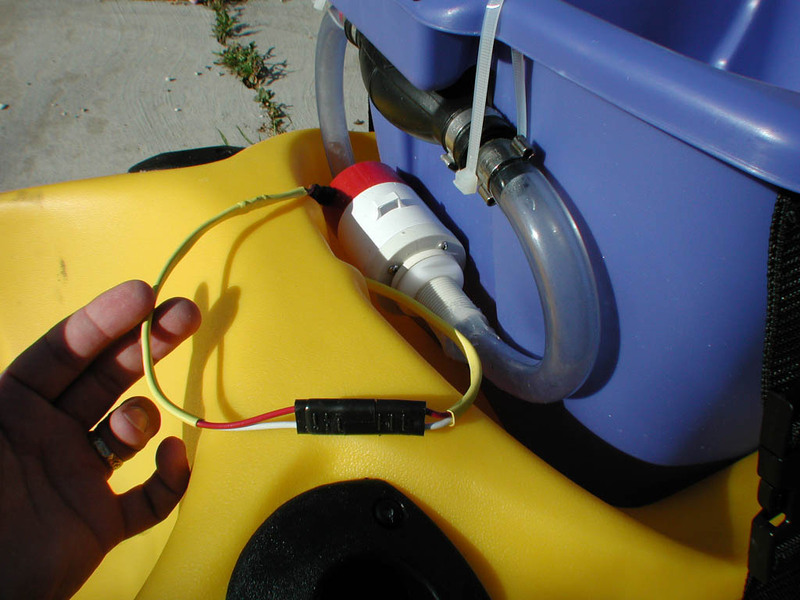 I use the modified fuel squeeze bulb to prime the pump. 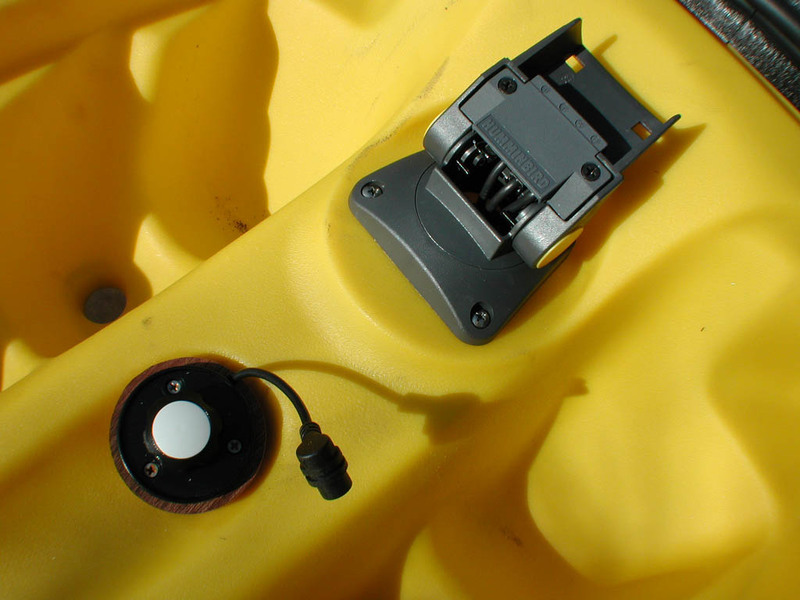 The Hummingbird 200x fish finder and GPS fit perfectly right up front. Installed bait tank with hold downs. 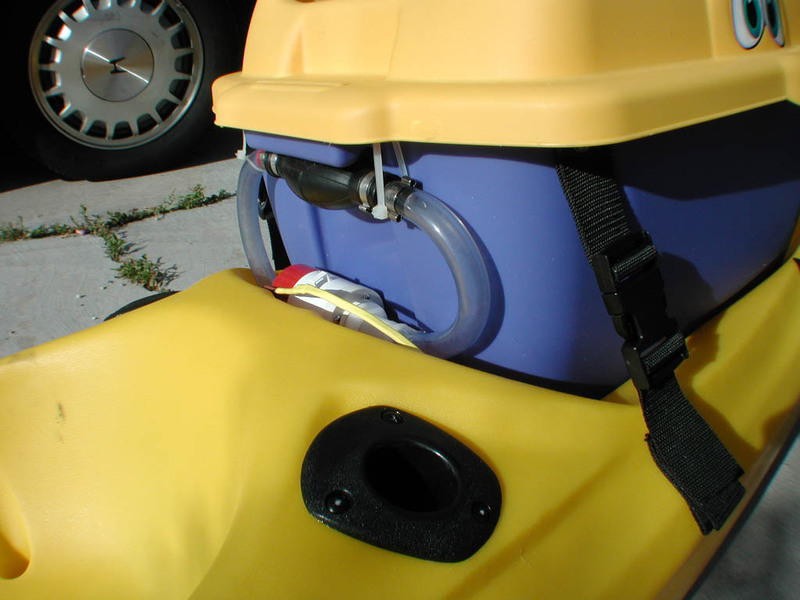 Flush mount rod holders fit perfectly right behind the seat - they have capped off bottoms of course. 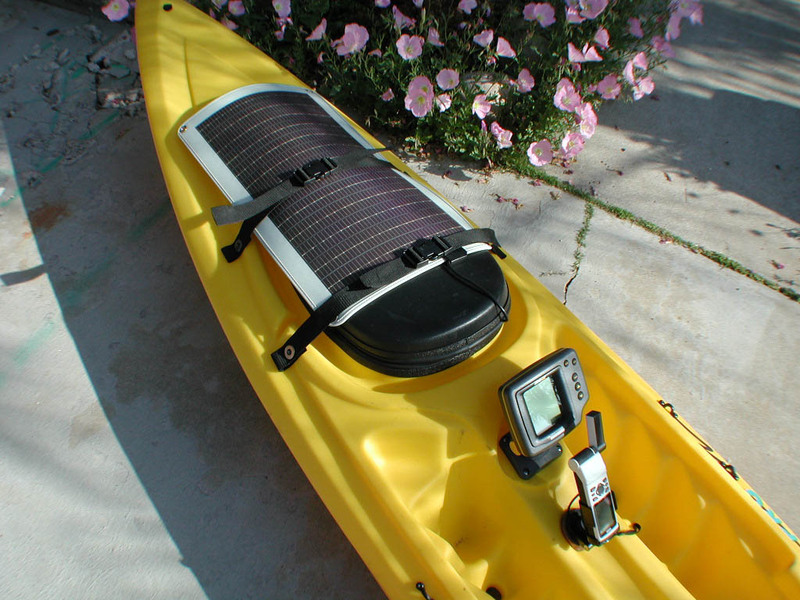 Solar power extends to kayaking also. This panel charges a small battery for multiday trips. 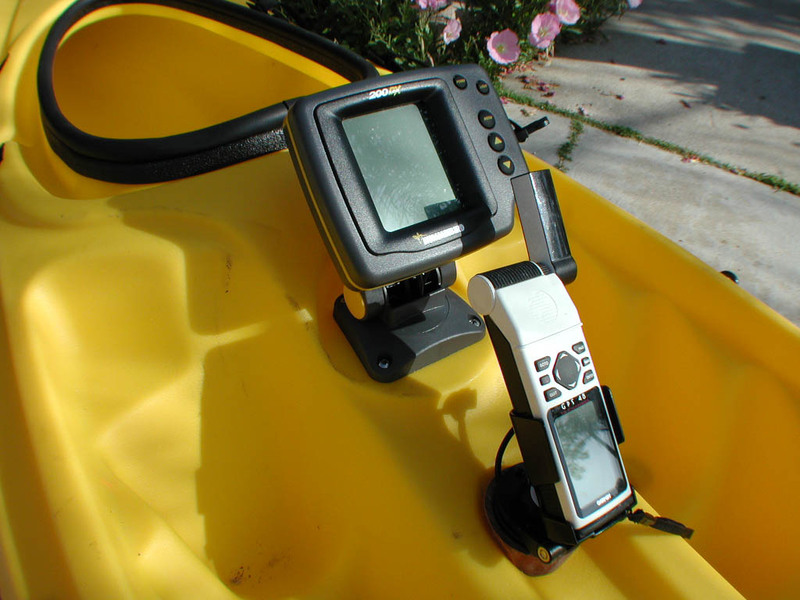 The fish finder mount folds flat for travel or general paddling.